Monroe’s namesake company purchased the 1956 Ford Thunderbird in December 1955, but it’s believed to have been a Christmas gift from her business partner, Milton Greene. She enjoyed the car for several years before offering it to John Strasberg, son of her acting coach, Lee Strasberg, for his 18th birthday. John’s mother, Paula, asked her to hold off handing over the keys for a few years. Monroe is believed to have transferred the title in spring of 1962, months before she died at the age of 36. 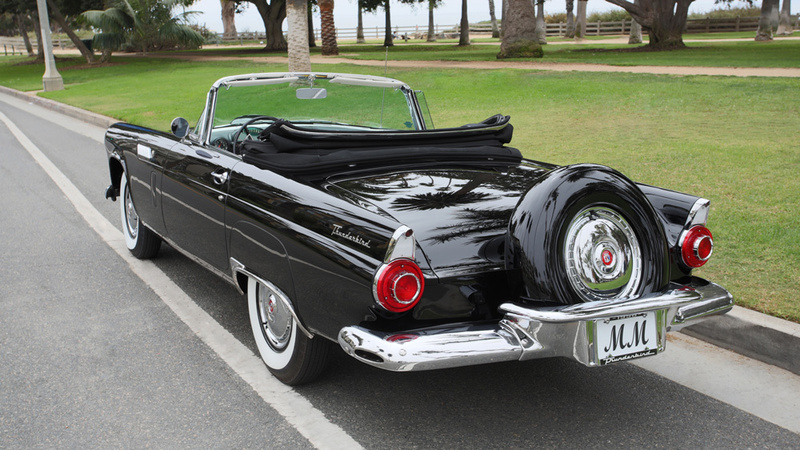 Period records suggest that she and playwright Arthur Miller drove the convertible to their civil wedding ceremony in June 1956, and probably to their private wedding, held days later. 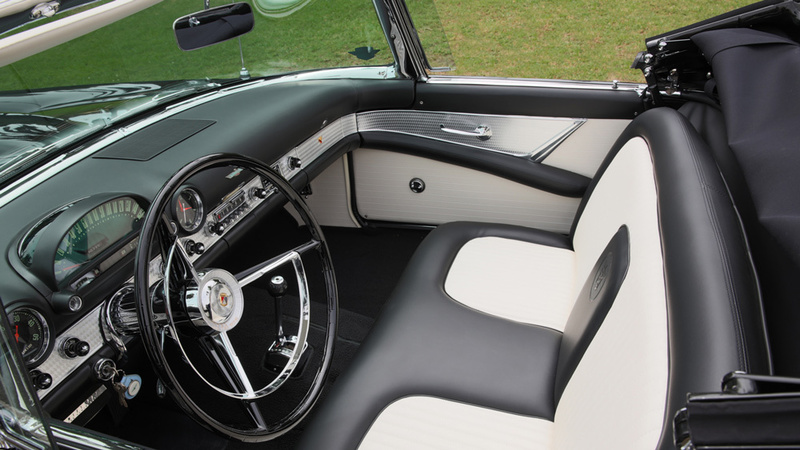 The two-door, two-seater—in raven black with black-and-white interior—has matching numbers and was restored earlier this year by Thunderbird specialists in California. The lot comes with several documents, including a 1955 declaration of ownership form from the state of Connecticut and a driver’s manual that Monroe might have studied to earn her license. After Strasberg traded in the car in 1970, two or three Ford Thunderbird collectors owned it before the current consigner offered it to Julien’s with just over 30,000 miles on the odometer. Julien’s has handled cars with celebrity connections before. Its house record belongs to a 1977 Trans Am coupe that belonged to Burt Reynolds and was used to promote the film Smokey & the Bandit. It sold in December of 2014 for $693,000. Monroe’s Thunderbird is likely to roll past that sum.